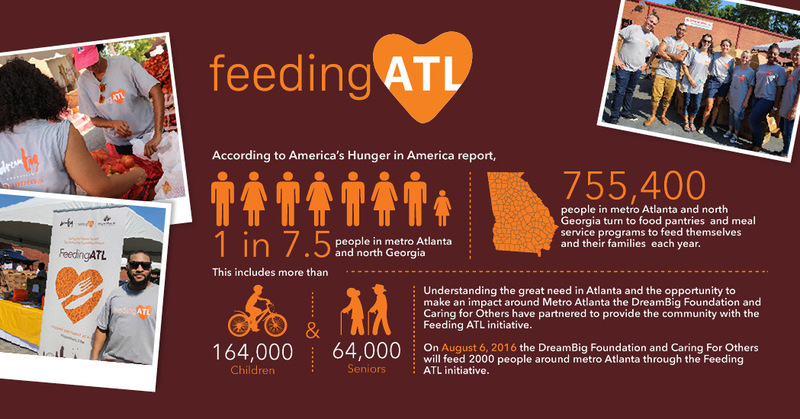 FeedingATL is a partnership initiative (originally stated in New York) between nonprofits Caring For Others, Inc. and The Dream Big Foundation, which has helped provide much-needed food assistance to families across Atlanta. The organization wanted a brand that had similar attributes to its predecessor, FeedingNYC, while maintaining its own individuality. We integrated elements, such as the original logo’s heart shape and shades of orange, to create a fun and distinctive theme throughout the campaign. 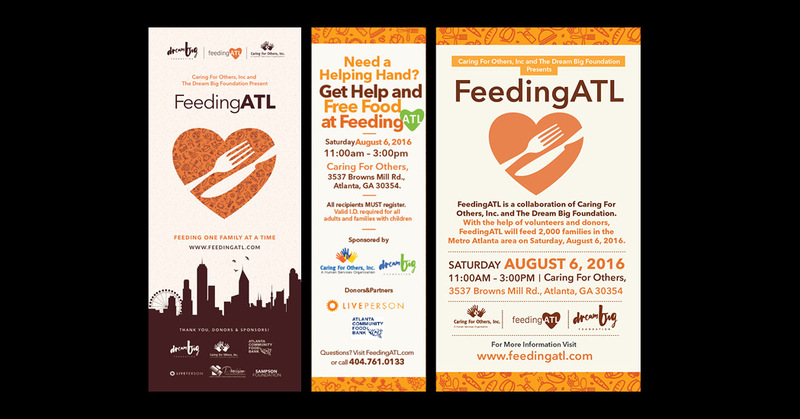 The organization wanted design concepts that were more colorful so that the food drive would be more inviting, yet inclusive of many demographics. 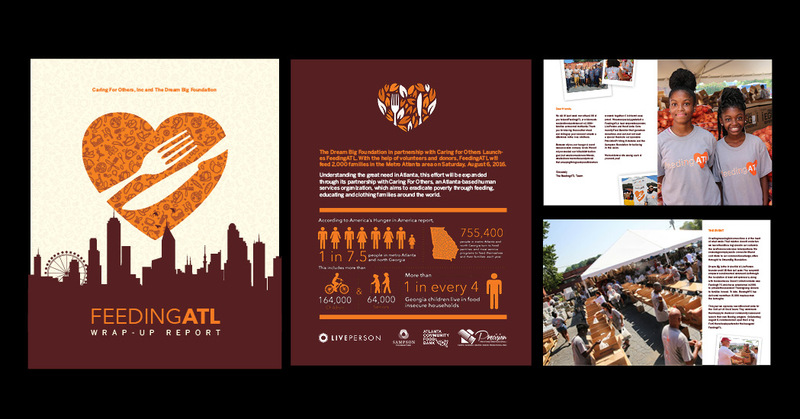 We produced fun, moving infographics that motivated and assembled community awareness and increase participation within the organization. Event photos were placed inside Polaroid frames to emphasis its candidness. Wrap-Up reports, flyers and press kits were created and delivered to community leaders and government officials for its 2016 food drive.